What Is The Osaki OS 3D Pro Cyber? 6 Cool Features Of The Osaki OS 3D Pro Cyber! 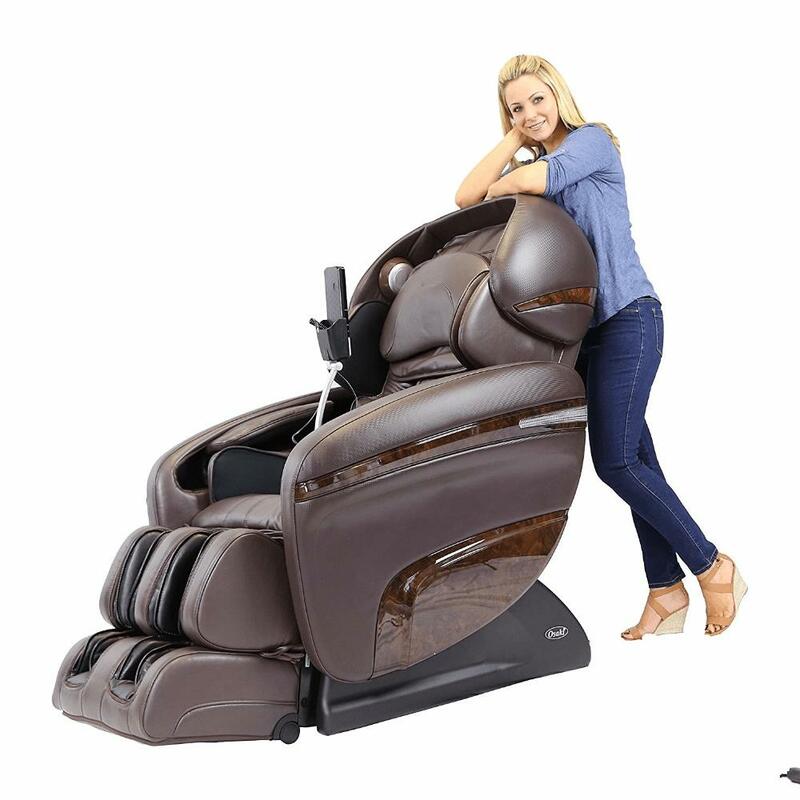 Should You Buy The Osaki OS 3D Pro Cyber Massage Chair? And Where Should You Buy From? 3D Rollers Allow For Deep Tissue Massage! Large User Friendly Remote Makes For Simple & Easy Operation! 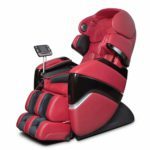 Osaki OS 3D Pro Cyber is a high end massage chair capable of performing mild to deep tissue intensities. Capable Of Deep Tissue Intensity! Pro Dreamer—You can check out my review by clicking here. TW Chiro—To be reviewed in the near future. Stay tuned! Pro Ekon—To be reviewed in the near future. Stay tuned! Osaki are always putting out new chairs, so this list could very well expand in a few months. When I get to reviewing all 4, I’ll do a comparison table for you so it’s easy to see the differences. You’ll have to bear with me for now! Before we get into the features, you should know that both chairs, Pro Dreamer & Pro Cyber are incredibly similar. There’s very little to pick apart from the 2 in terms of features and specifications. However, I will still do a side by side comparison later in the post so you’re at least aware of the key differences. Osaki OS 3D Pro Cyber features “next gen” 3D roller technology. Before we talk about what this “next gen” really is, let’s talk 3D rollers. What are 3D rollers and why should I care? In a nutshell, 3D rollers are rollers that move in 3 dimensions. To drill the idea home, let’s consider the following scenario. Visualize yourself sitting in a massage chair. To make it believable, here’s an image of my chair. Imagine you’re sitting in my chair enjoying a nice, relaxing back massage with not a care in the world! Now try to visualize what’s actually going on with the rollers. How are they moving and in what directions? 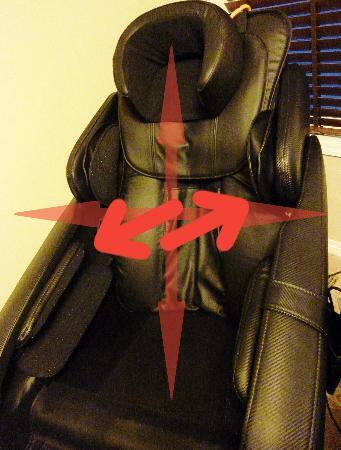 My chair has 3D rollers so they would move in 3 dimensions: up/down, left/right, and in/out. The image below describes exactly what I mean! Not The Best Picture, But You Get The Point! The “in/out” motion is what really distinguishes 3D from 2D! Unlike 2D rollers, 3D rollers are able to protrude outwards. Possessing this ability, 3D rollers can massage at a much higher intensity compared to their 2D counterparts. Simply said, 3D rollers are capable of deep tissue massage. A feature that 2D rollers cannot achieve! In the Pro Cyber the rollers can protrude a total of 3.3 inches (as shown below). Rollers Can Extend Out By 3 Inches! But what the heck is “next gen 3D”? Next gen 3D and normal 3D (as we saw in the Pro Dreamer) are pretty much the same technology. They both extend/protrude the same distance, and they both function pretty much the same. That being said, next gen 3D is just marketing lingo! 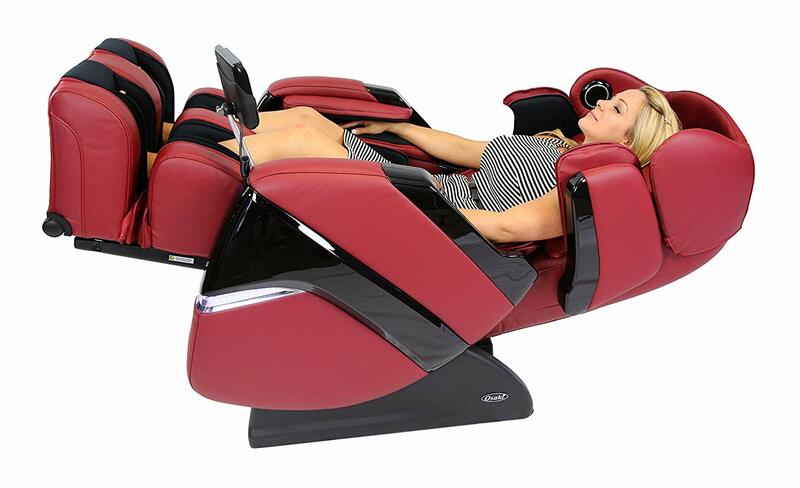 The Osaki OS 3D Pro Cyber massage chair has a total of 36 airbags. That’s 12 fewer than the Pro Dreamer, which had a total of 48. Airbags are simply pouches that expand when filled with compressed air. These expanded pouches “compress” or squish surrounding muscle and tissue. And this my friends is what most refer to as an air compression massage. Air compression has tons of health benefits (maybe I’ll do a separate post on this! ), and if done at low to medium intensities can be quite relaxing! Along with air compression, air bags also help stretch muscles. When it comes to airbags, does more mean better? Nope, nada, negative. Airbag design comes down to a lot of things, and having more doesn’t necessarily make one chair better than the other. You could have a chair with fewer airbags that cover just as much surface as a chair with significantly more airbags! Fewer airbags also makes the chair design less complex. You have fewer bags, fewer valves, fewer pumps, and fewer motors. All of these “reductions” drive down power consumption. Where are all 36 airbags placed? The image below shows exactly that. Also notice the 2 kneading foot rollers at the bottom of the ottoman. These rollers work in tandem with airbags to provide one heck of a foot massage! All Osaki chairs do computerized body scans. However, these scans tend to be a lot more effective on 3D chairs such as the Osaki OS 3D Pro Cyber, where the whole mapping process is generally a lot more thorough and accurate. As a result, massage is more precise, and tailored to accommodate various body types. How does the body scan work? Automatically. When you first sit in the chair and pick a program, the 3D rollers will move back and forth to scan your backs curvature. It’s actually kinda cool seeing this in action! Body Scans On 3D Chairs Are A Lot More Accurate! Similar to the Pro Dreamer, the Pro Cyber features 2 stages of zero gravity recline. Stage 1 is normal and stage 2 is much more reclined. For those of you who don’t know, zero gravity is a reclined seating position where the legs are slightly elevated relative to the heart. 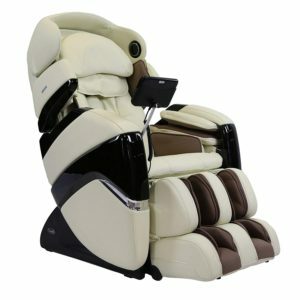 This NASA inspired seating position has gained tremendous popularity over the years, especially in the massage industry. Sitting in a zero gravity position has several key benefits: reduced spinal stress, improved breathing, and an overall sense of well being. What do i think of zero gravity? Definitely a must have as far as i’m concerned. Plus I think it’s really cool being able to sit in the same reclined position astronauts do! I just thought of a brilliant idea! Next time I massage in zero gravity, i’ll do so watching that Matthew McConaughey space movie…what’s it called again? Umm Interstellar! Gotta Love That Zero G! Music Sync—In this mode massage syncs to the beat of your music. You can select from 5 different intensities. Lower Body—A mode that focuses on the lower back and calves using kneading, tapping, rolling, and air compression techniques. Full Air—Full blown air compression is what this is! Airbags inflate to massage the entire body. Energy—AKA wake up mode. A full body mode that uses light tapping strokes. Demo—Full body massage mode that finishes really quick. Upper Body—Same as lower body mode but this time emphasis is placed on the head and shoulder areas. Comfort—Full body mode with special focus on the neck and back (upper and lower). Deep Press—High intensity, deep pressure massage. Another full body mode. Stretch—More so a stretch than a massage. This mode focuses on stretching the entire body by making use of inflated airbags. I’m all about auto modes; they’re quick, easy and work really well. That being said, they do have limitations. They don’t allow you to target a specific area or accupoint. They don’t allow you to select a specific massage stroke/technique. Select Different Massage Techniques—From kneading, tapping, clapping, shiatsu, Swedish, and rolling. Localize Massage To A Specific Area—This chair uses a point or zone system. Select point to localize to a specific area, or zone to limit rollers to a more general area. Point & Zone System Works Really Well! What differentiates this remote control from others is its large 5” viewing screen. I love large screen remotes because everything is big and therefore easy to understand. Osaki’s user friendly interface definitely adds to this as well! Ten Out Of Ten For Looks! One of the nicest looking massage chairs in my opinion. For those wondering, it does come in 4 different colors: black, brown, cream, and red. I don’t know about you, but that red looks on point! The Osaki OS 3D Pro Cyber offers a lot of flexibility in manual mode. Not only can you select a specific massage technique, you can also focus down to a tiny area/point in the back. Pretty useful for stubborn knots and pain points! My biggest concern with the Osaki OS 3D Pro Cyber massage chair is that it lacks user flexibility. Suggested user height is too restrictive (5’5-6’4 ft.). If you’re shorter than 5’5, or taller than 6’4. you should probably consider something else (more on this later!). This chair is priced slightly higher than it should be. I say this based on current prices, which of course are subject to change in the future. Irrespective, I can’t seem to justify why I would buy the Pro Cyber over the Pro Dreamer. FYI, I compare both units below, so keep reading! Last week I completed a detailed review of the Pro Dreamer. You can check out that review by clicking here. I bring up the Pro Dreamer because of how similar it is to the Pro Cyber. It therefore warrants a comparison! The price for both of these units tend to vary quite a bit. As it stands currently, the Pro Dreamer is about $800 cheaper than the Pro Cyber based on prices at massage chair deals. Obviously prices are subject to change, but I just wanted to give you an idea of where things stands at this point in time. Recommended user heights for both of these chairs are quite different. Pro Dreamer has a larger height range (1 foot and 3 inches) compared to Pro Cyber (11 inches). What does this mean? Well basically the Pro Dreamer is overall a better chair for both short and tall folks! If you’re somewhere in between the 5’5-6’4 range, you’ll be most likely fine with either chair. Both chairs can accommodate a similar user weight of about 265 lbs max. More airbags doesn’t necessarily make one chair better than another! It’s more so about balance and surface coverage. That being said, just because Pro Dreamer has more airbags than Pro Cyber, doesn’t mean it’s the better chair. Pro Dreamer has a total of 8 auto modes, Pro Cyber has 9. Say what you will, but in my opinion having 1 mode more isn’t something that would influence me to buy one chair over another! Last but not least, Pro Cyber consumes 300 Watts whereas Pro Dreamer consumes 210 Watts of power. Another minor difference that’s worth keeping in mind. To answer simply, no you shouldn’t! In essence it’s a poorly designed chair, but that doesn’t mean all Osaki chairs are the same! Every manufacturer has a mix of both good and bad products. It’s up to you to figure out what these are! To conclude here’s an article that reflects and supports my opinion above. Feel free to give it a read. Pro Dreamer in my opinion would be a much better choice. As mentioned earlier, I’ve done a complete review on it which you can check out by clicking here. Pro Dreamer and Pro Cyber are really not that different in terms of features! Another alternative is to check out Osaki’s recently released Pro Ekon. The downside to this of course is there aren’t many reviews to go by since the chair is so new. It’s also quite a bit more pricey in comparison to other 3D chairs! Finally, there are some really cool 2D chairs in the market you may wanna check out. 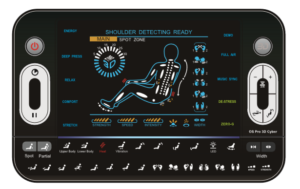 If deep tissue intensity isn’t something you necessarily need, chairs such as the Pro Maxim, TP-8500, and 4000T are all very capable and affordable! Final Recommendation: Get the Pro Dreamer. You won’t be disappointed! To check out latest pricing as well as reviews for the Pro Dreamer, click the link below! There’s tons of options when it comes to buying massage chairs. Should you buy in store or online? Well, to be honest both have trade offs. Tons Of Options Online—You don’t get the same choices in store, and if you did, expect to pay a heck of a lot more! Try Before You Buy—You can’t try before you buy, if you buy online. The one advantage to buying in store is you get to try the chair out before buying. I prefer buying online, simply because there’s so many options to choose from. Make no mistake online are where the deals can be found! Of course spending a couple grand online isn’t everyones cup of tea. 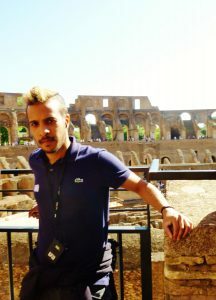 I get that! You Get Special Treatment!—This is my way of saying thank you to those of you who’ve read this far in the blog. Enter in “MAM5” at checkout and score an extra 5% off. To put things into perspective, this is $250 off a chair that costs $5K! They Know Their Stuff!—And they have 24/7 customer service. Will I make a commission if you buy from massage chair deals? 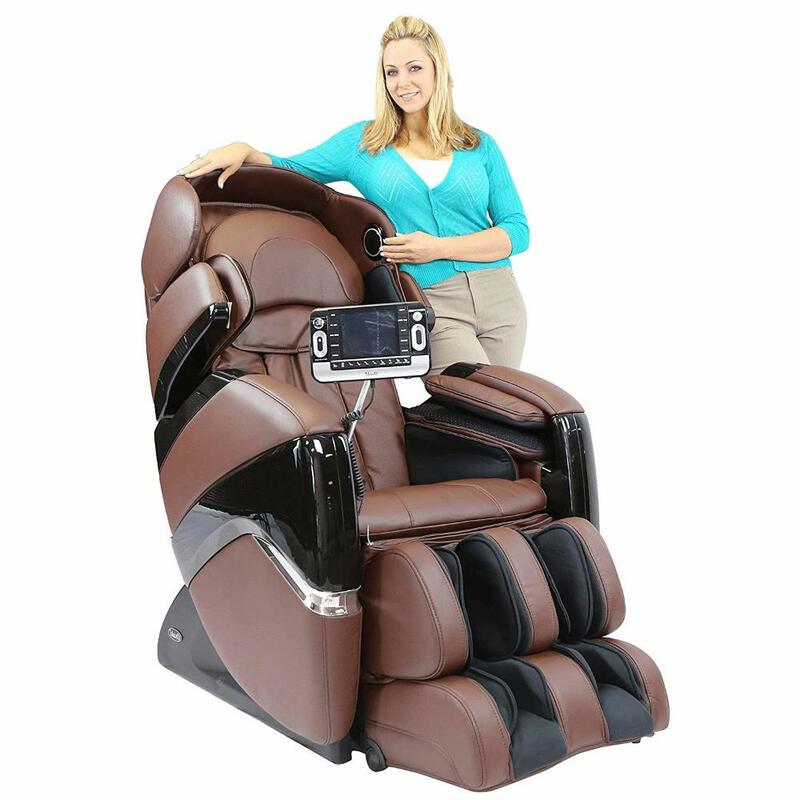 If you buy from massage chair deals using my affiliate links (placed throughout this post), yes I will make a small commission. I feel it’s important my readers should know this before they choose to buy! I hope you enjoyed reading this review. If you did, a share on the socials would be appreciated. Questions and comments are welcome below! Lastly, let me know if there’s a particular chair you’d like me to review next!